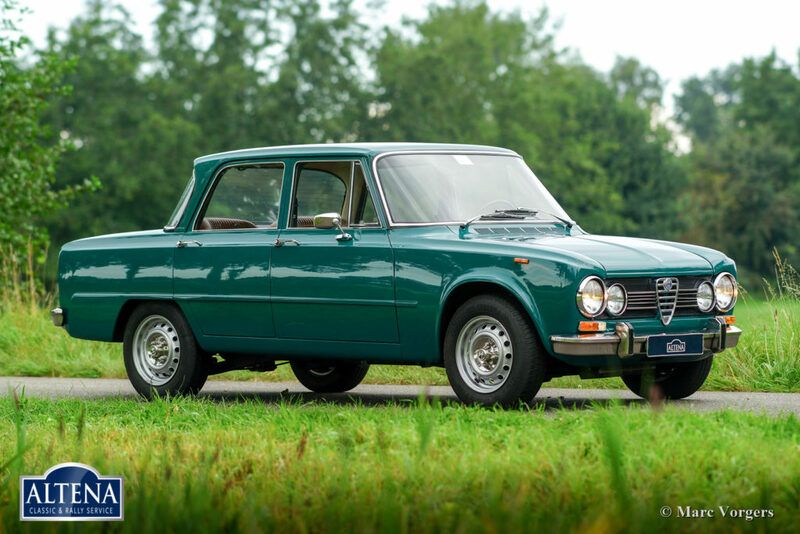 Alfa Romeo Giulia 1300 Super ‘Lusso’, year 1973. 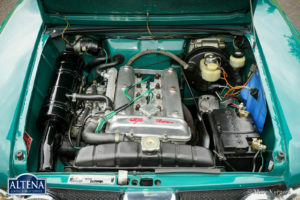 Chassis number AR 33323XX. 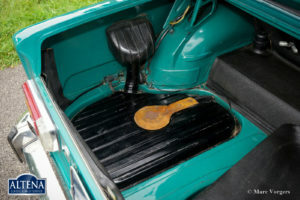 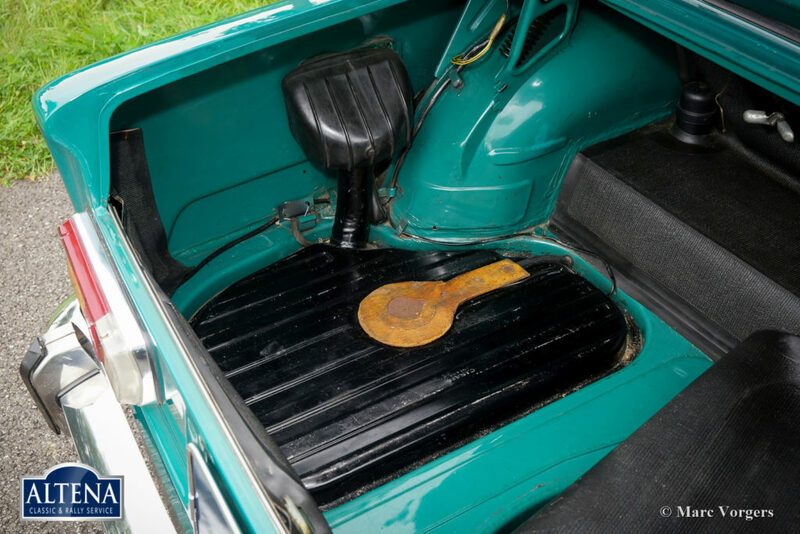 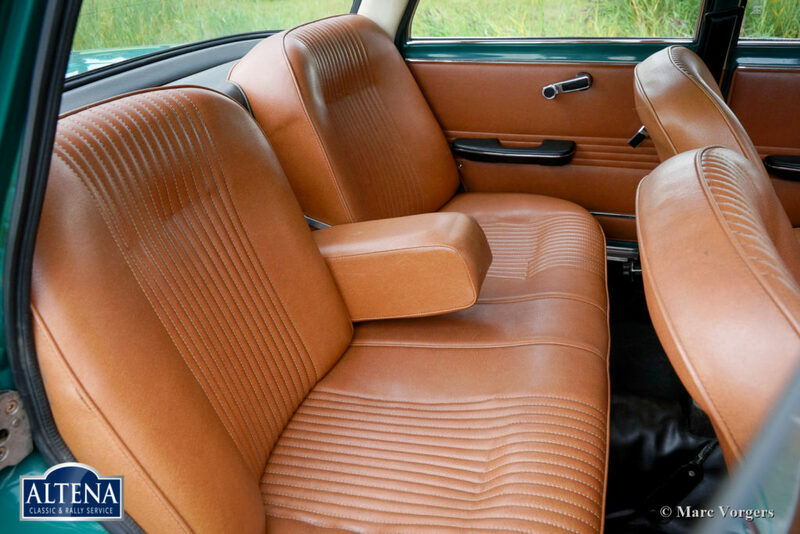 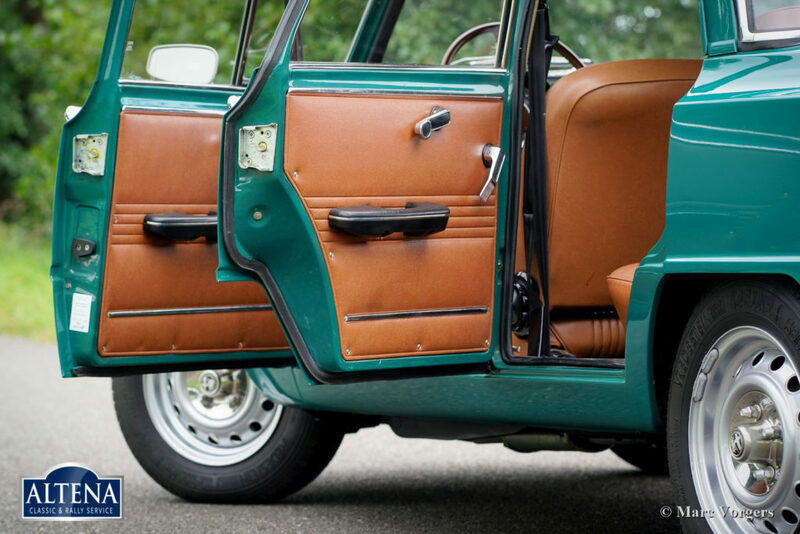 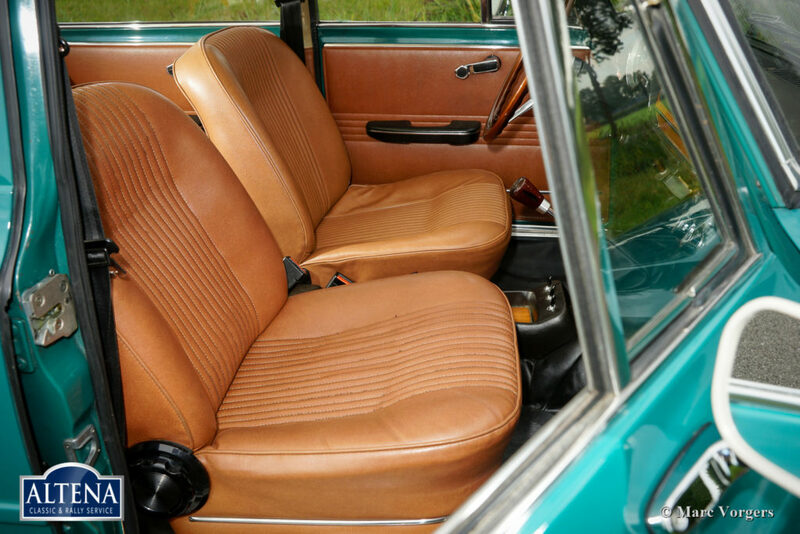 Colour Pine Green (Pino Verde) with a cognac colour (Wild Boar) leatherette interior and black rubber carpet. 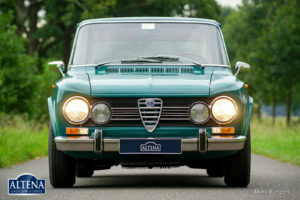 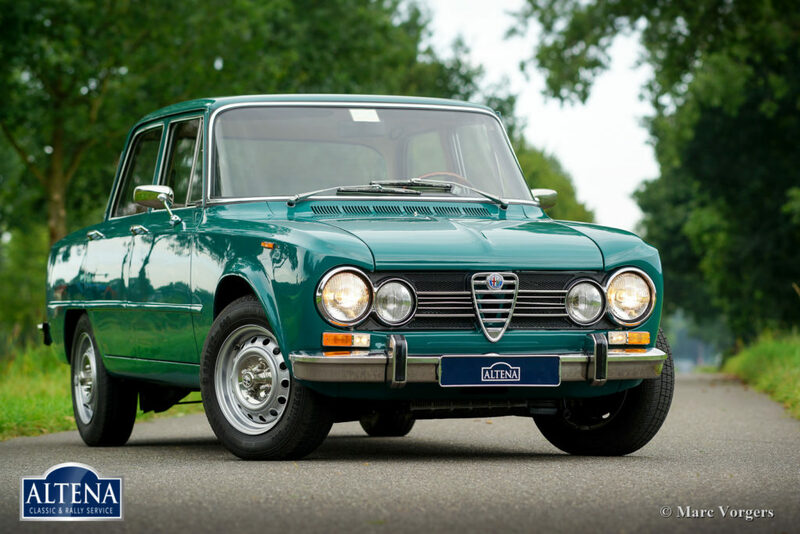 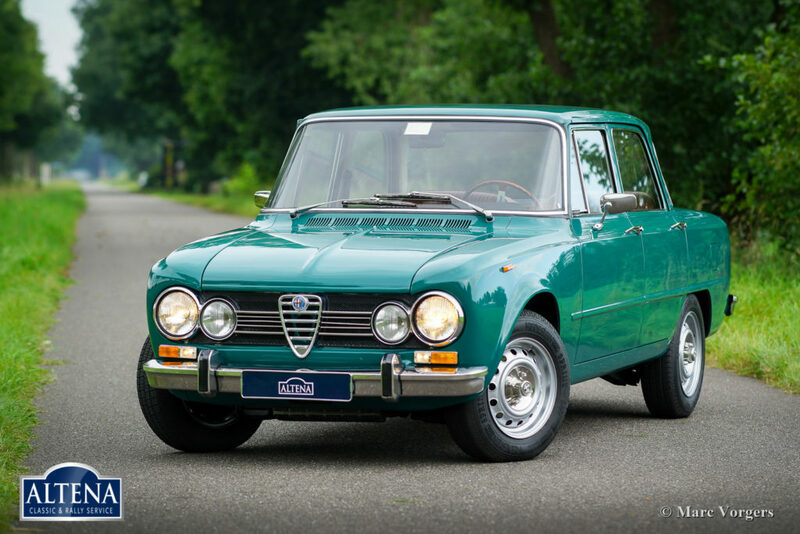 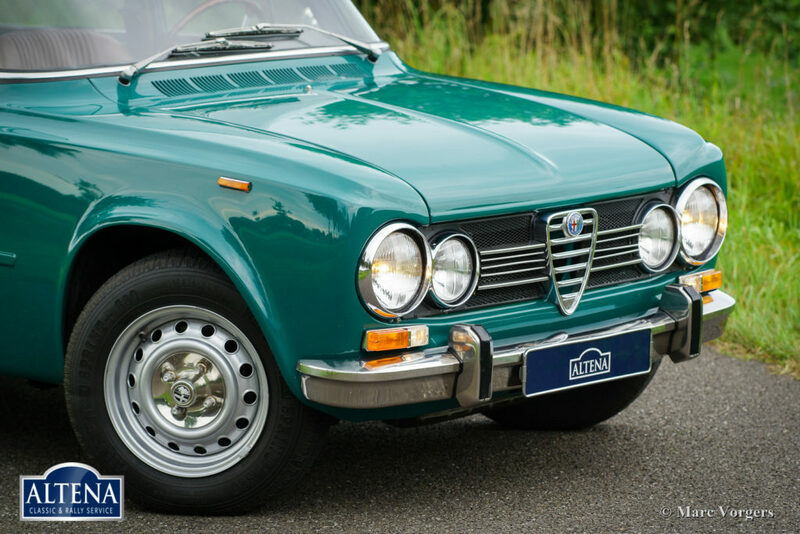 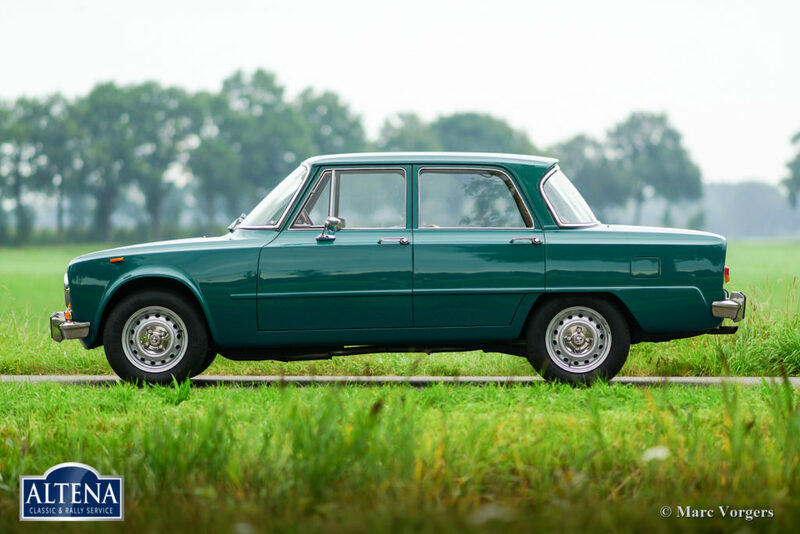 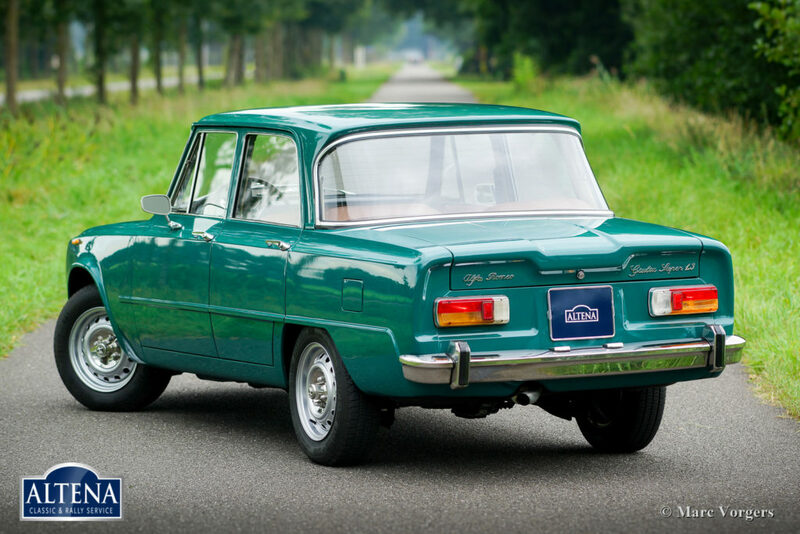 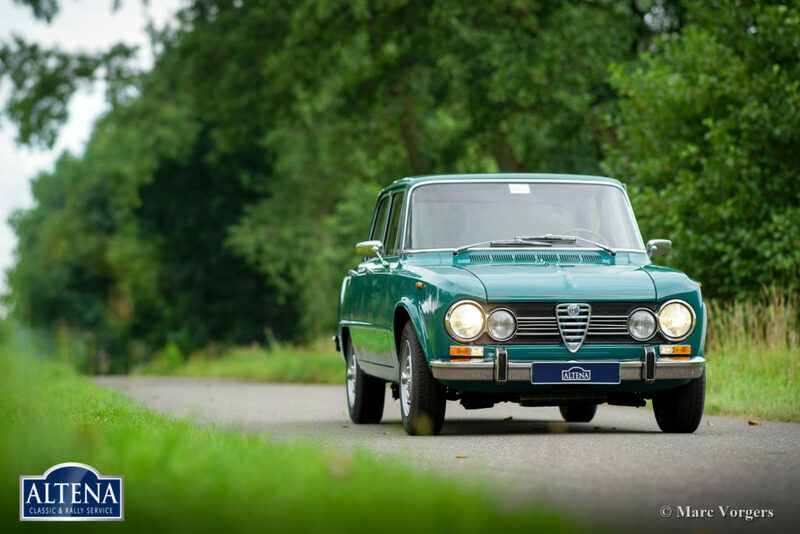 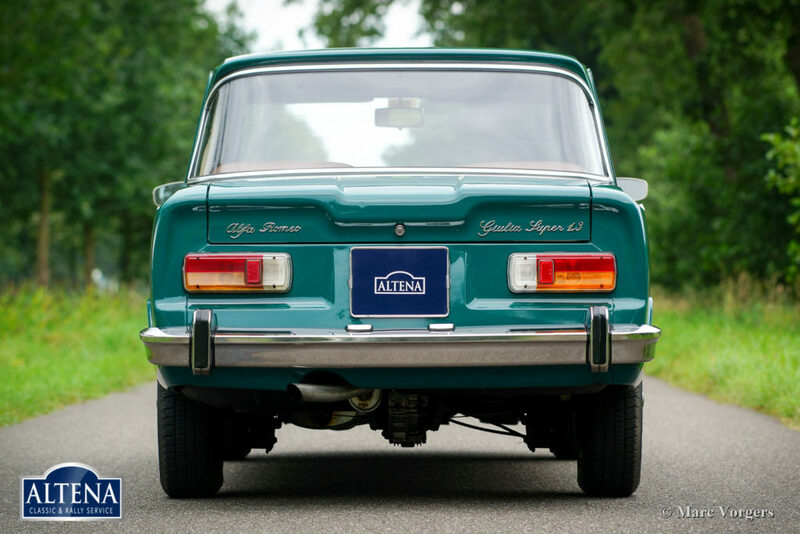 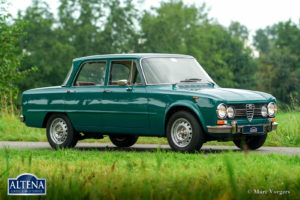 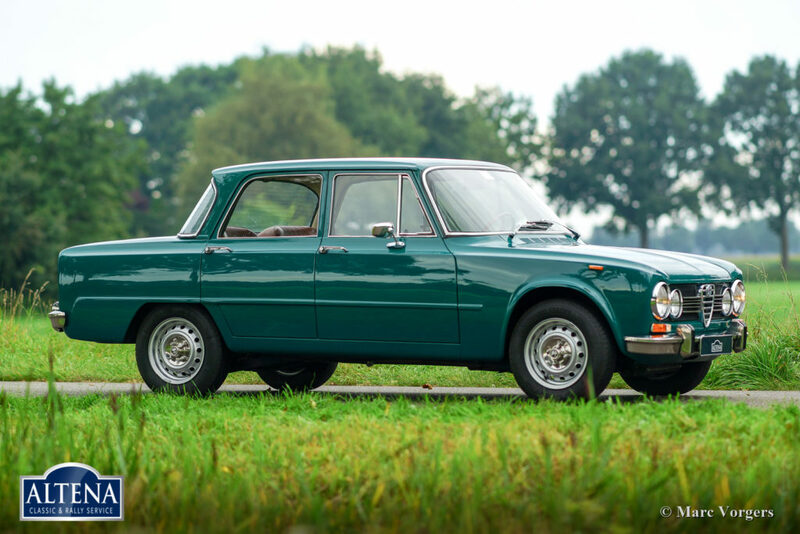 This magnificent Giulia Super comes from a car collection. 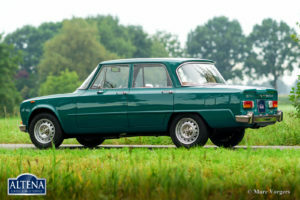 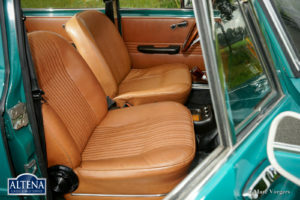 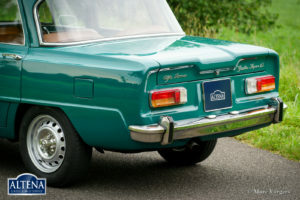 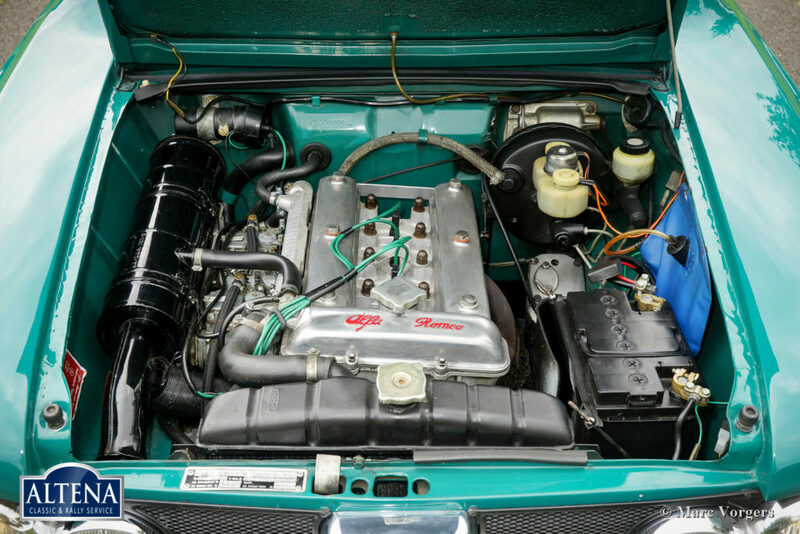 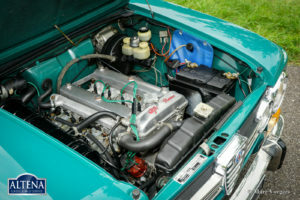 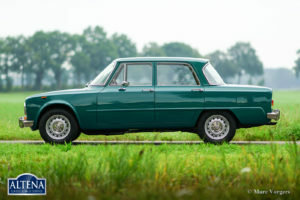 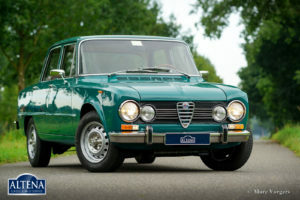 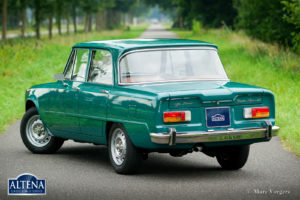 The Alfa Romeo is in superb TOP-condition; like new! 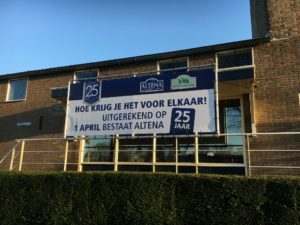 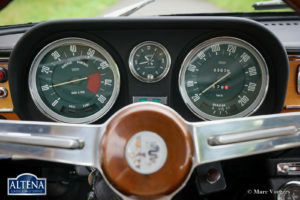 The car has driven only 63.000 kilometres since it left the factory gates. 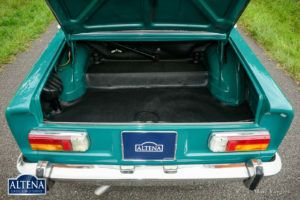 In the past, the car was given perfect new paint in the original colour, the bodywork shows crisp panel fit, superb bright-work, and the underside is just as impressive! 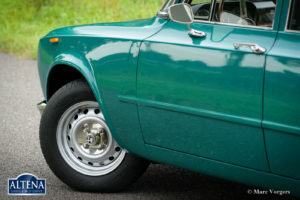 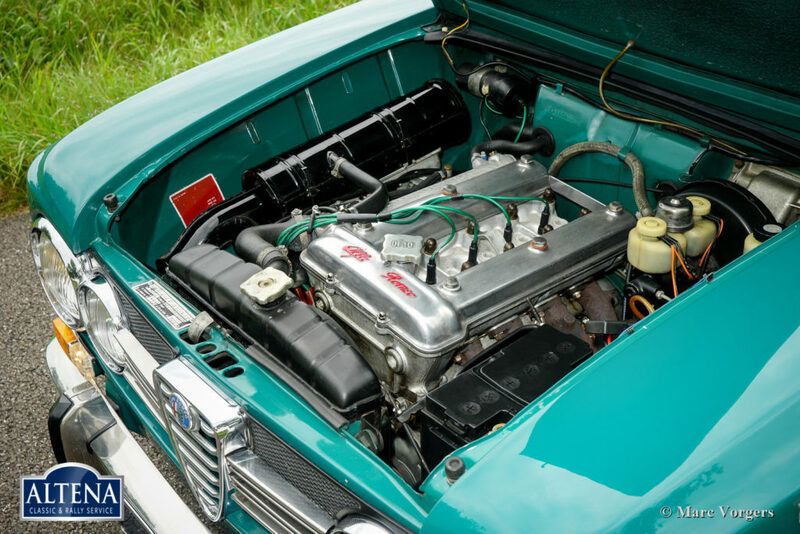 The Alfa Romeo was perfectly serviced and maintained, cherished by its owner which becomes is obvious in every detail. The 1300 cc four-cylinder engine with twin overhead camshafts runs beautifully and the five-speed gearbox shifts smooth and direct. 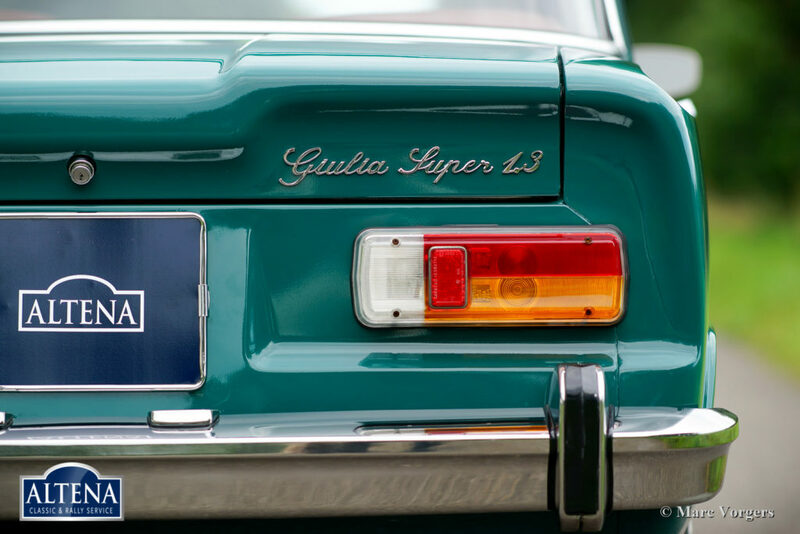 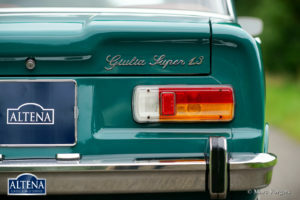 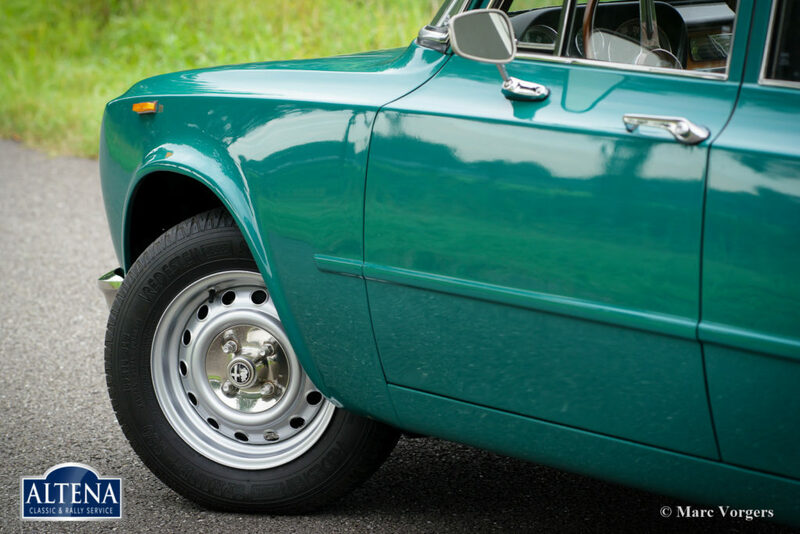 This Giulia Super shows all the beautiful original details. 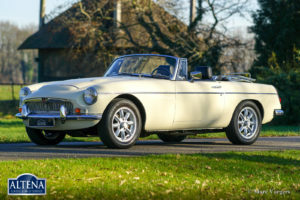 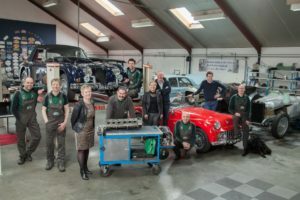 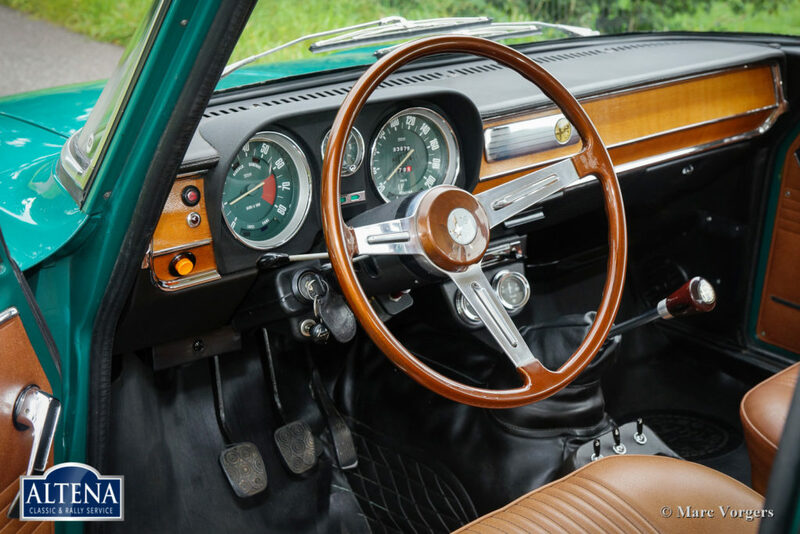 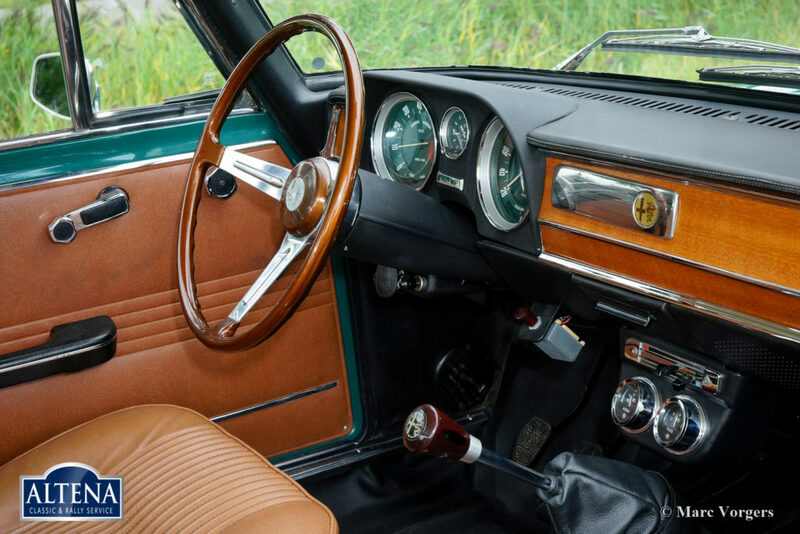 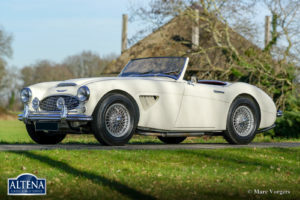 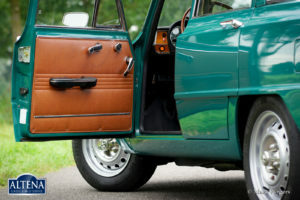 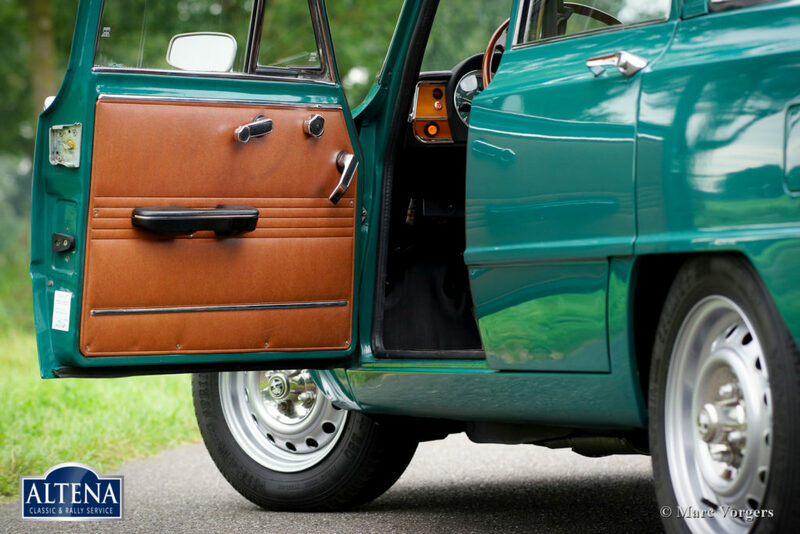 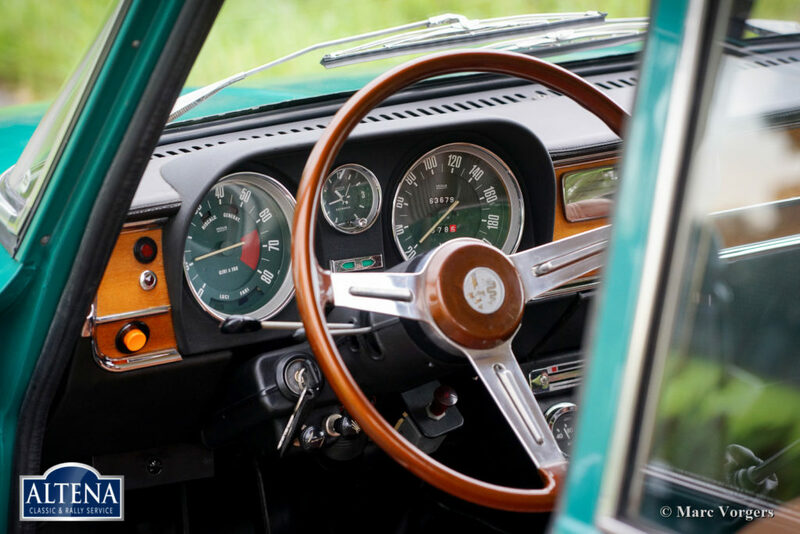 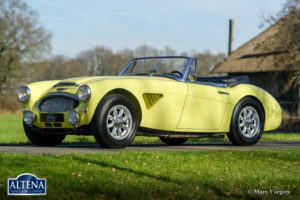 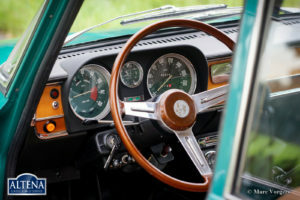 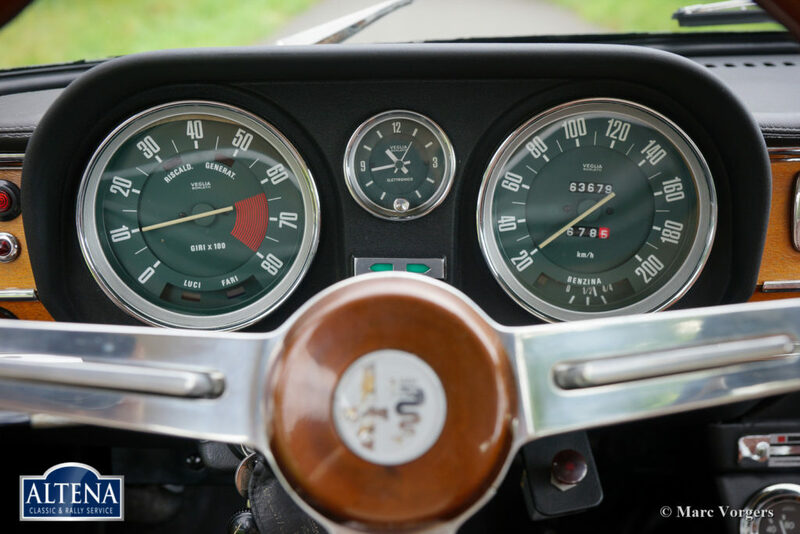 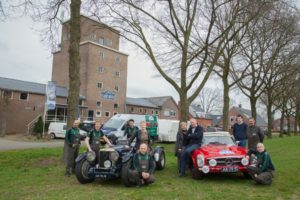 The car features the original 14-inch steel wheels, Vredestein tyres, two door mounted rear-view mirrors, a beautiful radio-cover-plate, a wood gear-lever knob and the original crick. 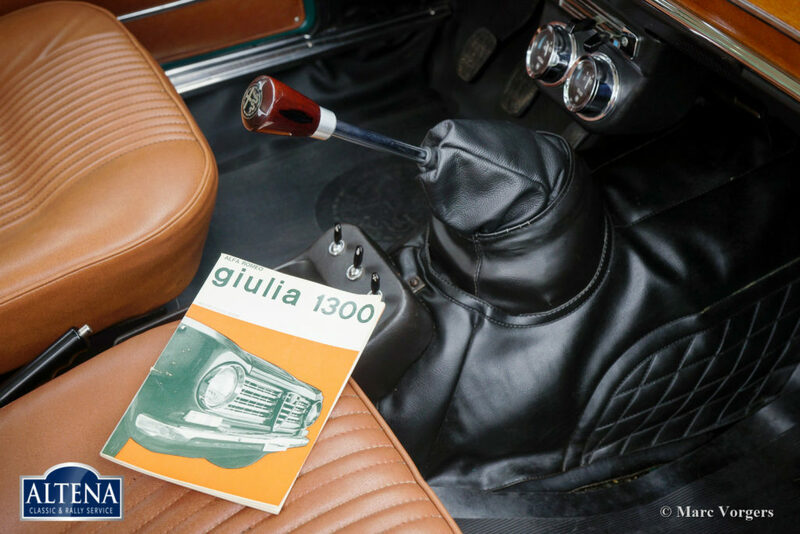 The original user manual is also present. This is a magnificent TOP-specimen!